Justice Bikes — Early Iron Club!!! Don't forget to meet us here Saturday (April 7, 2018 @ 10:00AM) for our very first meeting!!! We'll be swapping ideas, stories, lies and maybe even some bike parts - so don't miss out! If the weather and bikers are willing - we may even go for a ride!!! Don't worry if your bike isn't up to the task for our first get together - by the time the season hits, we'll have them all in great shape and running better than ever! 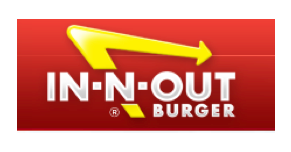 Put our THIRD ANNUAL RUN IN-N-OUT on your calendar now - July 28, 2018. We are combining our annual Customer Appreciation BBQ with our ride to In-N-Out Burger in Grants Pass which means we will BUY YOUR BURGER for those who ride over with us!!! The plan is to go over and back the same day -- but you never know! July 28, 2018 @ 8:00 - Leaving from Central Oregon and heading to Grants Pass! If you've never been to the Hell's Canyon Rally - Now's the time to do it as this is the LAST YEAR for this run. After 19 years, they're ending on a high note, but ending all the same. http://hellscanyonmotorcyclerally.com/ Check it out and plan on being in Baker City, Oregon July 12 - 16, 2018. When it's too snowy to ride -- we paint!